The Dome cap, otherwise known as the bullet cap is made from silicone and provides a secure fit due to it’s ergonomic design. The Dome cap offers moulded grip on the inside ensuring a secure fit, the shape will also reduce drag. This swimming cap can be customised with a printing area of 10cm x 10cm , the area is slightly reduced compared to the regular cap due to the curved nature of the silicone making it harder to print. 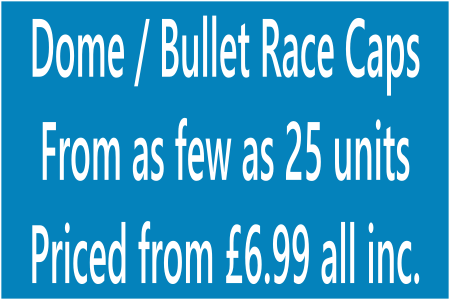 The Dome racing/Bullet silicone cap is a must for the competitive swimmer wanting that edge!